France / Poland french napoleonic military mail postmark " No 6 / grande armée " on folded letter with full contents written from " Varsovie 25 decembre 1806 " . The sender describes in great details the military and cultural situation of Warsaw during the french occupation . 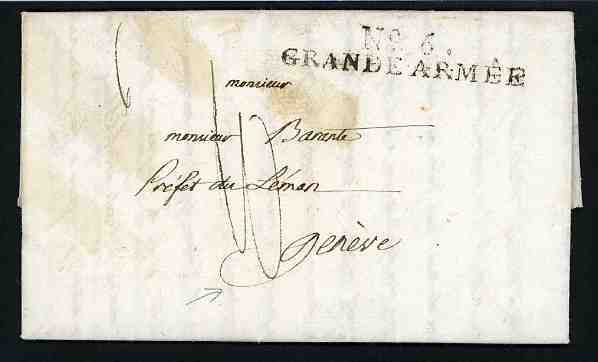 The cover was send to the scarce destination : Genéve / Switzerland with a postage due of 10 decimes . A rare and superb letter .